A record number of shooting attacks by pro-Russian separatists has been recorded in the antiterrorist operation area. On 6 January 2015, pro-Russian militants in Donbas opened fire against the antiterrorist operation troops 51 times. This indicates the highest intensity of shooting since the beginning of the year. Near Maryinka, the militants opened aimed fire with firearms and grenade launchers on four Ukrainian strongpoints at once. The government troops were targeted with firearms near Shyrokyne and by a sniper near Zaytseve. Harassing fire with firearms and large-calibre machine guns by the militants was registered near Pisky and Opytne. The separatist gangs carried out unaimed fire with grenade launchers near Mayorsk, Novhorodske and Luhanske. Several 120-mm mortar bombs launched by the militants landed near the positions of the antiterrorist operation troops in the area of Zaytseve. 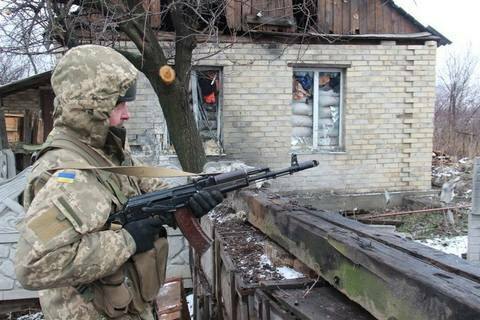 On 5 January, the Ukrainian antiterrorist operation HQ registered 23 cases of cease-fire violations by the militants.